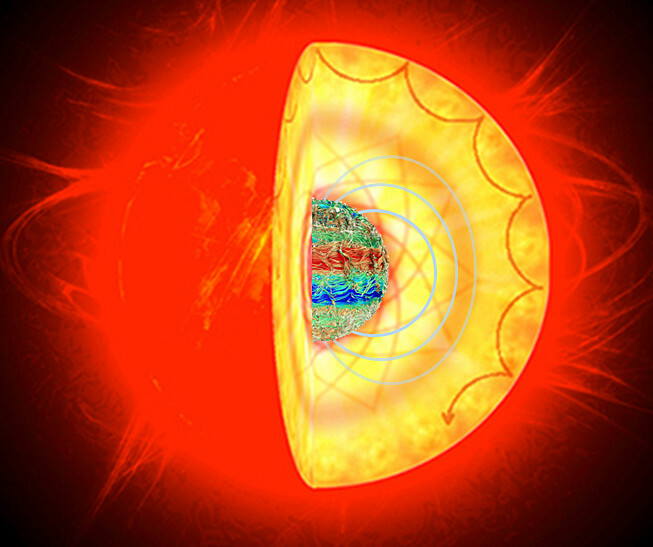 Artistic representation (not to scale) of a red giant star with strong internal magnetic fields. 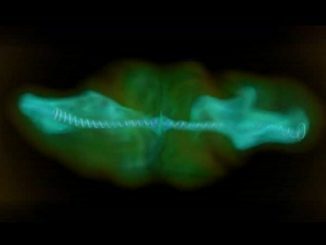 Waves propagating through the star become trapped within the stellar core when a strong magnetic field is present, producing a “magnetic greenhouse effect” that reduces the observed amplitude of stellar pulsations. 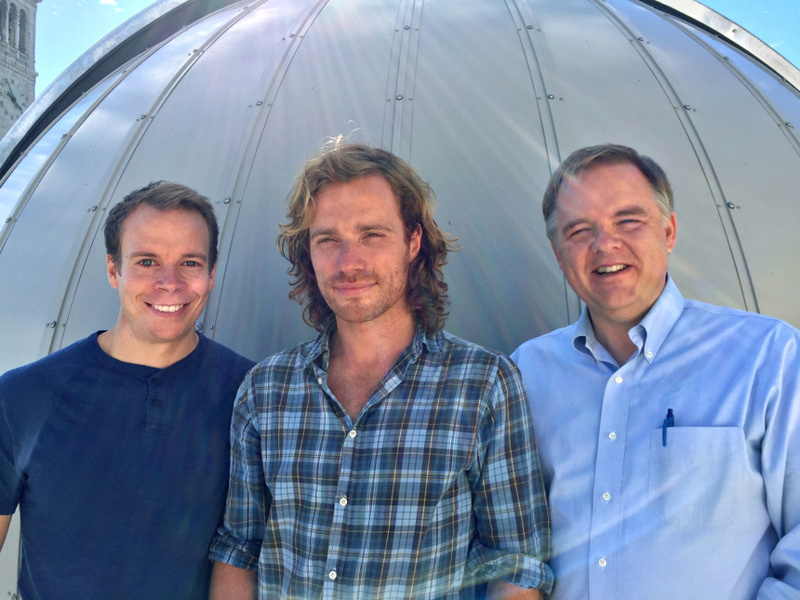 Image credit: Rafael A. García (SAp CEA), Kyle Augustson (HAO), Jim Fuller (Caltech) & Gabriel Pérez (SMM, IAC), Photograph from AIA/SDO. Jim Fuller, Matteo Cantiello and Lars Bildsten. Image credit: Bill Wolf. Cantiello’s curiosity and that of his co-authors was sparked when astrophysicist Dennis Stello of the University of Sydney presented puzzling data from the Kepler satellite, a space telescope that measures stellar brightness variations with very high precision. Cantiello, KITP director Lars Bildsten and Jim Fuller, a postdoctoral fellow at the California Institute of Technology, agreed that this was a mystery worth solving. After much debate, many calculations and the additional involvement of Rafael García, a staff scientist at France’s Commissariat à l’Énergie Atomique, a solution emerged. The data were explained by the presence of strong magnetic fields in the inner regions of these stars. 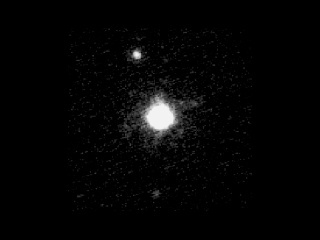 The puzzling phenomenon was observed in a group of red giants imaged by Kepler. Red giants are stars much older and larger than the Sun. Their outer regions are characterised by turbulent motion that excites sound waves, which interact with gravity waves that travel deep into the stellar core. 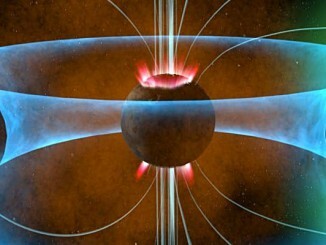 Magnetic fields in the core can hinder the motions produced by the gravity waves.